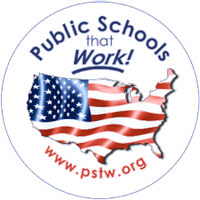 We want to welcome you to Artesia Public School District located in the enchanted land of southeastern New Mexico. We provide a comprehensive public education to students from preschool through the 12th grade in Artesia and its surrounding communities. We invite you to get to know us! Attendance Matters…Count Me In! is a district initiative to inform all of our stakeholders - students, staff, parents, and the community - about the importance of students having excellent school attendance habits. According to Attendance Works, a “growing body of research is revealing the prevalence of chronic absence and its critical role in student achievement. Fortunately, research is also showing that chronic absence can be addressed when school districts, communities, and policymakers work together to monitor the problem and implement solutions that address the underlying causes.” While the Artesia Public Schools abide by New Mexico’s statute requiring the reporting of habitual truancy, we believe it is even more crucial that we create an environment in every classroom and school that students want to be a part of. Please watch for information coming home from your child’s school outlining the exciting efforts being made to encourage student attendance. We hope our partnership with students, families, and the community result in a successful close to the 2018-2019 school year and anticipation of an even better 2019-2020! Visit our News page for additional information regarding the Attendance Matters…Count Me In! initiative. 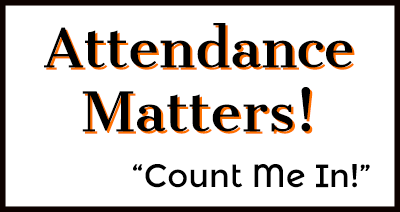 Attendance Matters…Count Me In! is a district initiative to inform about the importance of school attendance habits. Our next school visits will be on Wednesday, May 8, from 1:00 to 2:00 p.m.